A new JAMA Cardiology study revealed that while telemonitoring helps lower blood pressure in patients with uncontrolled hypertension, the results are not long lasting. 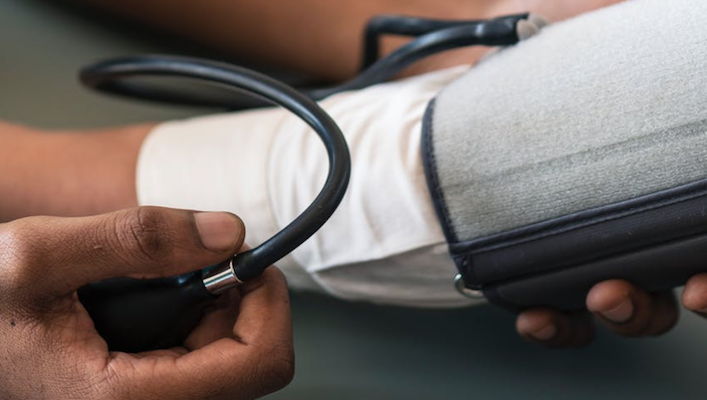 A recent study published by JAMA Network Open found that follow-up home blood pressure telemonitoring could help patients with uncontrolled hypertension lower their blood pressure in the short term. However researchers found that in the long term, those who received the intervention had similar results to those who got the standard of care. In the study, researcher analyzed blood pressure changes from patients with uncontrolled hypertension over the course of multiple years. Researchers found that at the 12-month follow up, patients who received the intervention saw their mean blood pressure drop from a systolic blood pressure of 148 mm Hg at baseline to 125.7 mm Hg, compared to patients in the control group with the same baseline systolic blood pressure whose number dropped to 134.8 mm Hg after a year. However, after four-and-a-half years, the results narrowed between the two groups; at the 54-month follow up, patients who had received the intervention had a systolic blood pressure rate of 130.6 mm Hg, whereas the standard-of-care group had a mean of 132.6 mm Hg. The study originally included 450 patients that were then split into two groups, with one receiving the telemonitoring intervention and the other receiving usual care. However, by the end of the trial, clinical blood pressure measurements were only obtained from 326 of the participants. The clinical trial kicked off in 2009 and lasted until 2015 across 16 primary care clinics, according to the study. Participants all had uncontrolled blood pressure, which means ≥140/90 mm Hg or ≥130/80 mm Hg if the participant had diabetes. Patients in the intervention group got a take-home automated oscillometric BP monitor, which was able to transmit their blood pressure data to a secure website. Patients in this group were instructed to measure their blood pressure at least six times a week. In the first six months intervention group patients also received a phone call from a pharmacists every two weeks or until their blood pressure was sustained for six weeks, according to the study. Additionally, during the next six months they got a phone call every two months. Patients in this group went back to the normal standard of care after 12-months. Blood pressure is a popular topic in digital health. In fact, this morning Michigan State University announced a new blood pressure app that claims to give users an accurate reading on their iPhone. The team’s system is made up of an clip-on opitcal and force sensor and a smartphone. Earlier this year a concept of the system was published in Science Translation Medicine, according to a statement. "By leveraging optical and force sensors already in smartphones for taking 'selfies' and employing 'peek and pop,' we've invented a practical tool to keep tabs on blood pressure,” lead researcher of the project Ramakrishna Mukkamala said in a statement. "Such ubiquitous blood pressure monitoring may improve hypertension awareness and control rates, and thereby help reduce the incidence of cardiovascular disease and mortality."